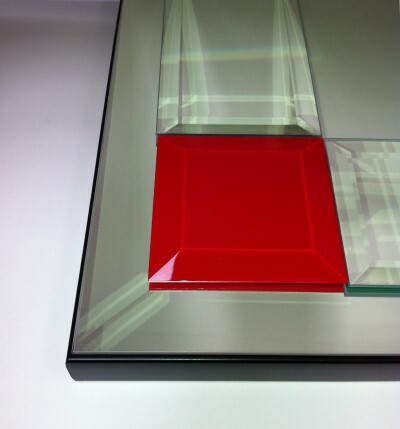 A new addition to the Boston range the Boston clear and red glass bevelled mirror. 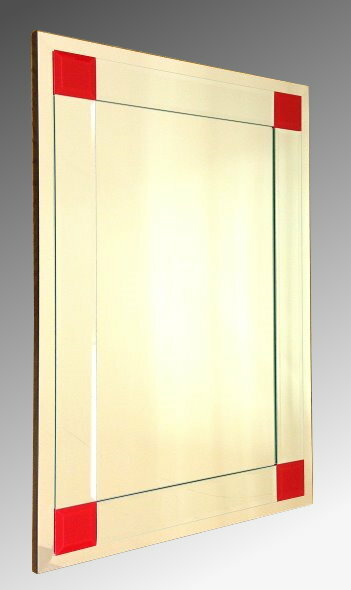 A new larger size now available in this quality frameless contemporary bevelled mirror with clear bevelled mirror strips and red glass square panels in each corner make this striking rectangular mirror. This mirror is made in our own workshop, and can be hung landscape or portrait. 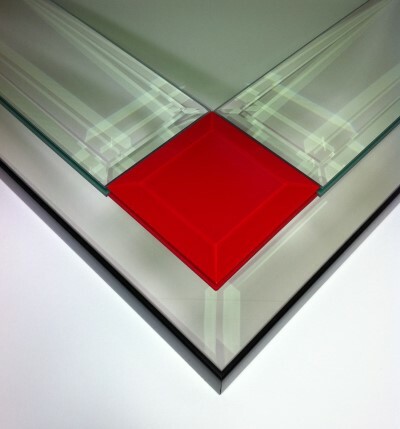 Other colours available including All Clear, Clear & Black and Clear & Brown.